I believe you could add it as a linked server within SQL Server. 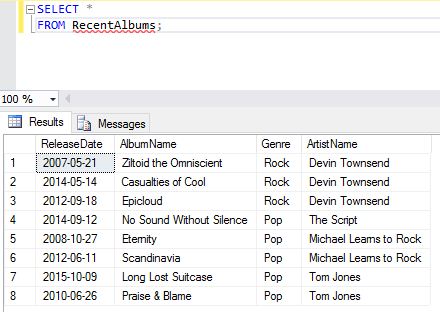 Access can be used just as a front end form to the actual database in SQL Server. Access would not be used to store the data, just a front end to it in place of the web page.... Click the "create lists and form" button in the ribbon in SPD. Then, just go back to your site and refresh the page, and you should see a new list. Or you can write the script directly into the PDF file, so upon clicking Send, the Action will translate all assembled inputs and values as simple HTML-data directly to your server and database (just like a web form …... By Bitahwa Bindu Graphical User Interface, Tutorials C#, Database, GUI, Login Form, Microcontroller, SQL, SQL Client, SQL Server, Tutorials, Visual Studio, Windows Application In many applications it is important to restrict the access to only registered users. I would look into microsoft InfoPath for the creation of the forms. But like any database creation, you need to know what type of information you are storing, how it is going to be used and create a logical data model before a physical one. In Sharepoint 2010 OOB, it looks like you can create forms that do full CRUD (create, read, update, delete) of SQL Server tables without programming. Click the "create lists and form" button in the ribbon in SPD. Then, just go back to your site and refresh the page, and you should see a new list.